Cantare Per Te is our new EP, created in memory of my carissimo papà. Thanks to my brother, we were able to include the audios he had recorded of papà singing. So Cantare Per Te is inspired by, created together with and dedicated to our dear father… some of those beautiful Italian songs he loved and always sang for us. This is our version of Resta Cu’mme, originally written by Domenico Modugno & Dino Verde. For more info and to download the full Cantare Per Te EP as a gift, click here. A whole-hearted thank you to Sergi Canovas and Butxaca for these generous words, our first official review of Lifting The Veil. If her debut album Here Inside promised much with a collection of little pieces of dreamy folk, with this new album she really lifts the veil on her talent to shine ever more brightly with just the right doses of maturity and emotion. Songs like “Poor Boy” transport us to dreamy landscapes with the delicate touch of Emiliana Torrini and the depth of Lhasa De Sela. Lifting The Veil is a delight that deserves to be listened to with the heart. 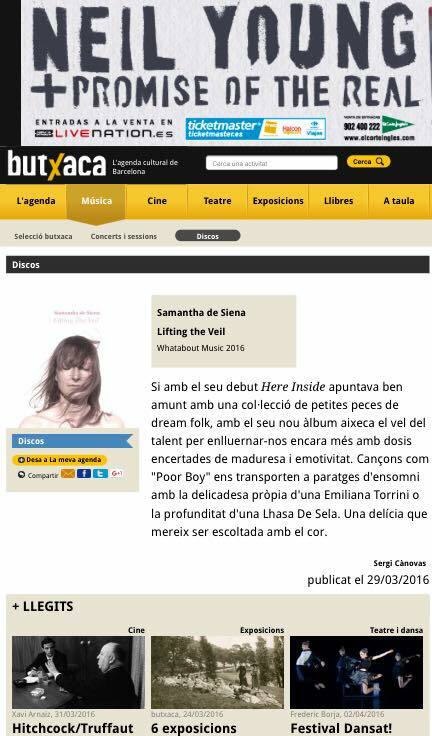 Click here to read the original review in Catalan. 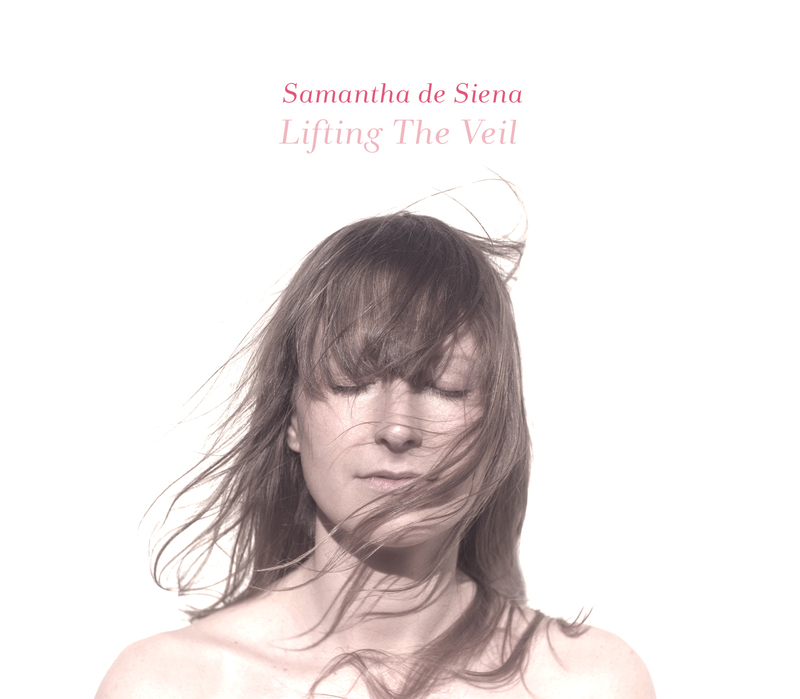 Today we celebrate the online release of our second musical journey, Lifting The Veil, through Whatabout Music Label (New York/Barcelona). We’re happy to share our cover of Bianca d’Aponte’s Doroty with you! Recorded last summer with producer Dave Bianchi as our offering to the beautiful Estensioni compilation CD, featuring eleven female singers from around the world each covering one of Bianca d’Aponte’s songs in their own mother tongue. Thanks to Sebastian Crispo on guitar, Jorge da Rocha on doublebass, Lisa Bause on violins and Xavi Molero on drums. We really enjoyed collaborating with Tori Sparks and the Menú Stereo team for this version of Hallelujah! The full show is available on Canal+ Xtra! Thanks to Pepo, Juanjo, Xavi, Xavi, Tori and Francisco!